Two More Must Have WordPress Plugins That No Site Should Be Without! Google Analytics and Google XML Sitemaps. WordPress is by far the platform of choice for bloggers and business with over “16.7% of Alexa Internet’s top 1 million websites. As of August 2011, WordPress manages 22% of all new website. It’s currently the most popular blogging system in use on the internet today” according to Wikipedia. So here’s the skinny on what they offer and why you should be using them. Keep in mind there are over 18,000+ plugins available. I have comprised a list of my favorite and the best WordPress plugins which can be found by Clicking Here! 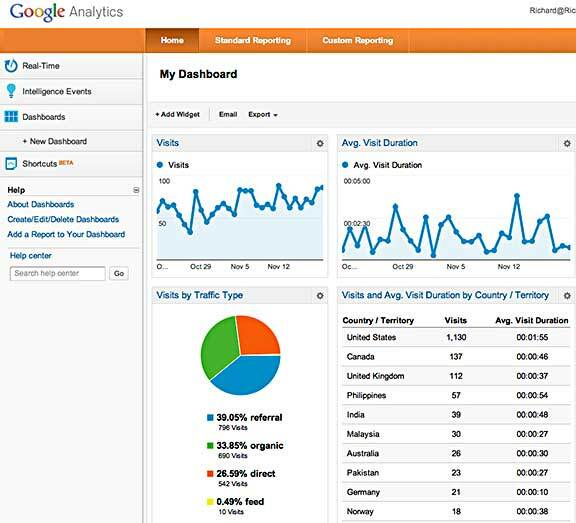 Google Analytics plugin for WordPress is fairly simple to install and set up. It’s purpose is to give you at a glance a summary of the top pages, top referrers, and top searches right within the dashboard of your WordPress backoffice. You will need to set up an account with Google’s Webmaster tool. All the necessary info can be found here. Next you will need to authenticate the site you want to track as well using a Google Analytics account and API tracking code. I’ve included a short video from the creator of this plugin and a link above where you can download the plugin, along with an explanation of how to configure it. The full Google Analytics tracking code and system is extremely robust offering a staggering amount of data with beautiful real time charts. It covers everything from your target audience, traffic sources, i.e. all traffic, direct, referrals, search either organic, paid etc. You can see information on your landing pages, exit pages, a drilldown on all content including site speed and so much more. 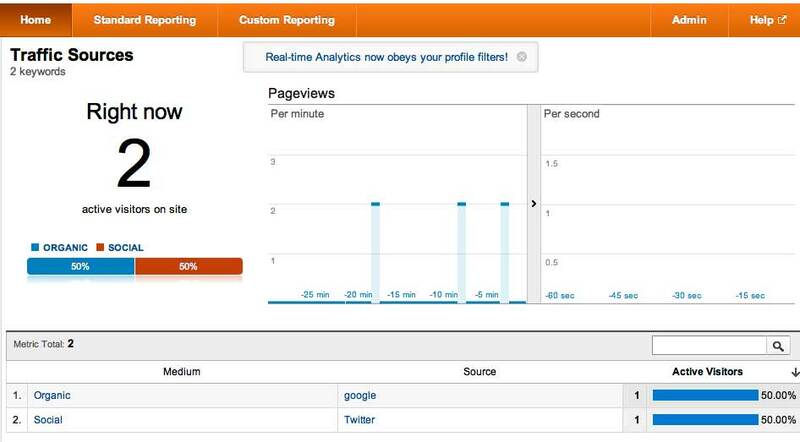 You can even see in realtime how many visitors are on your site at any given time and what posts they are viewing. Check out the short video below that Google offers on Beginning Analytics and Interpreting Your Data. If you really want to dive in and learn some great tricks and hacks, Bryan Eisenberg has a wonderful article with 30+ tips and tricks. Sitemaps are designed to tell Google about all the pages on your site that they might not otherwise discover. It’s basically a list of all the pages, including URL’s that might not be seen during the normal crawling process. You can also provide Google with specific metadata concerning all types of content on your site including, Video, Images, Mobile, and News. Setting up a Video and News Sitemaps are particularly important and should be set up separately to provide Google with as much info as possible about your site. For a complete overview of the Google XML Sitemaps plugin, including a download link, Click Here. Prior to XML Sitemaps, each search engine required a webmaster to submit their sitemap to each one individually… Meaning one for Yahoo, one for Google, Bing and so on. This created a lot of additional work that often times was overlooked. The simplest way to set up Google XML Sitemaps for the various search engines is to append your sitemap URL to the following URL’s. In closing: There are so many must have WordPress plugins for your blog to choose from. The Google XML Sitemaps plugin in my opinion is in the top three. Making it easier for all the search engines to index your site is extremely important to your websites SEO. It allows all the major search engines to know each time you create a new post and add content, not just Google. Paying close attention to your Google Analytics can not only help you fine tune your websites performance, it can give you a great deal of insight into what keywords are generating the most traffic. Both these plugins belong on every WordPress site, they are easy to setup and install and you can’t beat the price… Free is always a bonus! I hope you’ve found some useful information in this post, if so, please share it with your friends on Google+, Facebook and other social networking sites! I appreciate you leaving a comment, Thanks! From the looks of your site and blog, these two were not “news” to you. lol Great website and blog you’ve got there. Very clean! I look forward to spending some time learning and sharing with you. Just the other day I had come across the WordPress SEO plugin but didn’t spend enough time investigating it. Now that you bring it up, I will have take a closer look. Thanks for the advice! If you use WordPress SEO by Yoast, it comes with the ability to create XML sitemaps. There is even a Video SEO module available as an add-on. So glad to have you here! Yes that nasty issue has been resolved! Looks like you’re schooling me again… I also use Thesis and didn’t realize there was a shortcut with Google Analytics. I will have to look into that. Thanks again for your comment and for sharing! I hope you have a wonderful week! Yay, I’m here Richard and in Google Chrome no less. Hope that nasty issue is resolved… I hate that when that happens. Wow, what an awesome and thorough post. I often share my favorite plug-ins with my readers but my brief description can’t compare to this one. Now I do have the Google XML Sitemaps plug-in but because I use Thesis, I can just dump the Google Analytics code in it’s required spot so I have no need for this particular plug-in. If you can believe this, I have nothing to add. You’ve covered it all and even included the videos. I’ll definitely be sharing this one with my friends too. A must know! Thanks so much Richard for taking the time to put this together. Great job! Next post: MLM Information Overload! – How To Keep From Failing In Your Network Marketing Biz! Previous post: Lead Generation Ideas To Build Your Business – Starting Today!